Could the format war rumble on forever? Or will is be over next year? The high definition format war between HD DVD and Blu-ray could be all over in 18 months time. That's what the Chairman of the Blu-ray Disc Association hinted at today in an interview with Tech.co.uk. Frank Simonis, also the senior director of communications at Philips, said that while he refuses to predict victory for Blu-ray, the consumers will decide and exciting things will happen in the next year and a half. "Due to the fact that we have some hard competition which sometimes makes strange moves, it's very unpredictable. But I think in the next 18 months it will be very exciting to see what's going on. "Especially with more products coming to market, the price erosion that will for sure happen because competition between the different players will automatically fuel that part of the business. And of course the broader support that we get from the software industry will excite the consumer very heavily." Tech.co.uk met Simonis at the Blu-ray stand at the IFA consumer electronics show in Berlin. The event has this year been dominated by HD TV products with many new optical disc players being launched too. A plethora of new products, Simonis says, will create competition between manufacturers of the different players, driving prices down. 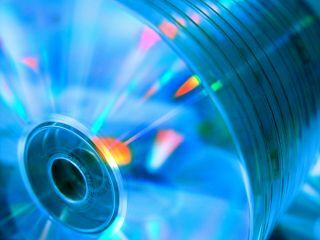 That coupled with competition from a rival disc format means that we could soon be looking at far cheaper Blu-ray players than are available today. "We don't like to oversell ourselves, but we right now see that there is a major transition taking place from publishers who said they would initially go only for HD DVD and now make the move across the Blu-ray. [This is] based on the sales numbers of software happening in the Far East, US and also now in Europe. "In the US you see that 70 per cent of the titles sold are Blu-ray and this is no different everywhere else. Publishers are moving to Blu-ray and now is definitely the time to join. "The consumer should make the choice, but for me it's Blu-ray all the way."